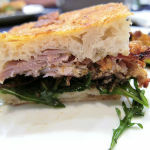 This entry was posted in glutton and tagged Learn Portuguese, Portugal, Portuguese Food on November 4, 2015 by Nicole Eberhard . Chances are you don’t know much about Portuguese food since it doesn’t have the world-famous gastronomic reputation of countries such as France or Thailand. But that certainly doesn’t mean it isn’t worthy of your attention! 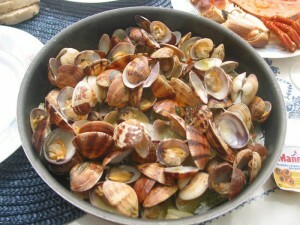 Portugal’s cuisine is heavily influenced by its position on the Atlantic coast of Europe. This means there is an abundance of fresh seafood, as well as a flavourful influence from the Mediterranean. Outside influences, from as far back as the Romans and Moors, to its former colonies, have also contributed to the local flavours, bringing delicious spices to the table. So if you’re travelling to Portugal, get to know its culture and history a bit better by tasting these traditional Portuguese dishes and drinks. If there’s one thing you will eat in Portugal, it’s salt cod. 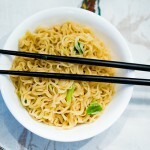 This staple food is cooked in a huge variety of ways, and eaten a few times a week. 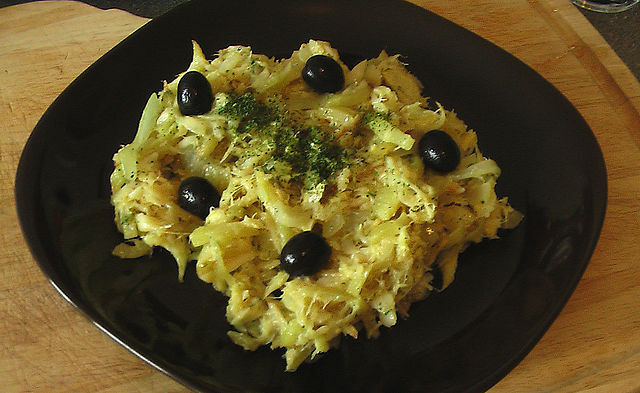 Some of the ways it can be eaten as bacalhau à bras (shredded cod sauteed with onion and straw fried potatoes), pastéis or bolinhos de bacalhau (both accepted terms for fishcakes), bacalhau com natas (baked cod with cream and potatoes), salada bacalhau com grão-de-bico (a cold chickpea salad). Whether you’re in Portugal, or other Portuguese-speaking countries such as Brazil, Mozambique, Angola or Goa, don’t skip out on feijoada. This bean stew is as typically Portuguese as it gets. 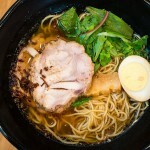 The dish varies depending on the region, but the basic ingredients are beans and pork or beef. 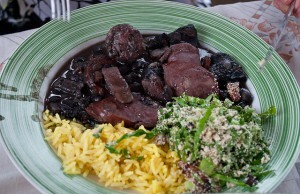 Feijoada à Trasmontana, from northern Portugal is one of the most popular, with kidney beans, different cuts of pork (including all the funny bits), sausage, and vegetables such as carrots, tomatoes, and cabbage. It is served with white rice. 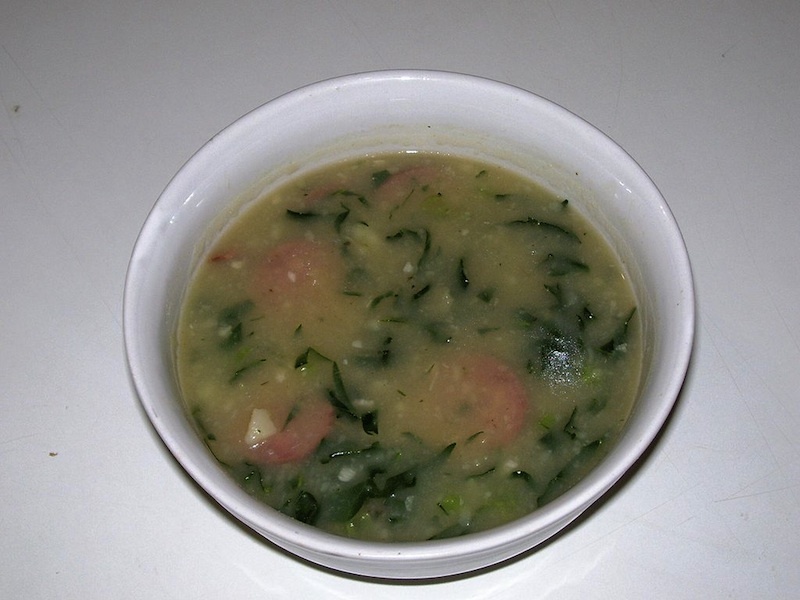 This traditional and hearty soup is a national dish and is often served during celebrations and festivals. 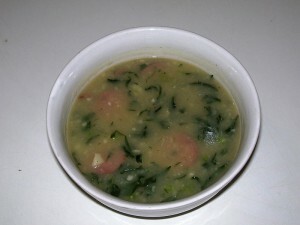 Caldo Verde is made from potatoes, onion, and kale, with slices of choriço or linguiça (sausage) added in at the last minute. This dish of clams in white wine was named after Lisbon poet, Bulhão Pato. After finishing the delectable clams, the sauce is perfect to soak up a piece of fresh bread, while enjoying a glass of white wine and the warm Portuguese sun. 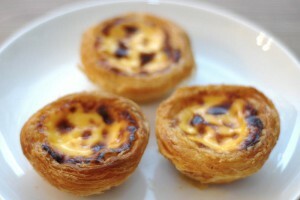 You don’t need to walk far in Portugal to find a shop selling pastéis, but the crème de la crème is the pastel de nata. This custard tart originated in Belém, Portugal. A deliciously crackly pastry cup filled with an egg cream, and often served with a sprinkling of cinnamon… they may not look particularly refined, but these sweet treats are incredibly delicious! You can’t speak about Portuguese drinks without mentioning Port. After all, just like Champagne and its French city’s namesake, this fortified wine can only be called port if it is made in the Douro Valley in Portugal. The grapes grown here are fortified with a grape spirit before being aged. It is also called Vinho do Porto or just Porto, and no trip to Portugal is complete without tasting some sweet port in its birthplace. 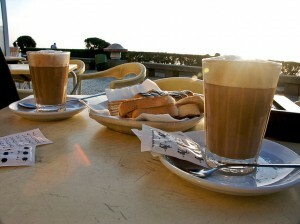 Coffee is important in Portugal, and one of the greatest coffee pleasures is Galão. Served in a tall glass, it consists of espresso and foamed milk, similar to a caffé latte. Find a café on a square in Lisbon and order yourself a galão and a pastel de nata, and you’ll understand true bliss. The cuisine is just the first step to understanding Portuguese culture. 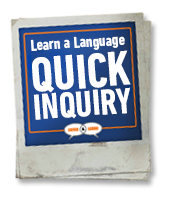 Learning the language, whether you’re travelling to Portugal, or another Portuguese-speaking country, is the most crucial (and rewarding) step. 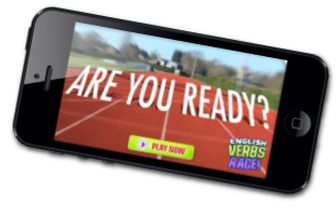 Contact us today to find out about Portuguese lessons near you or online.